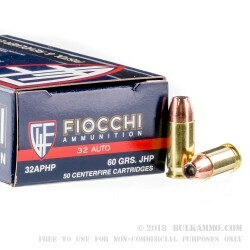 For the money you’d be hard pressed to find a better deal on 32 ACP ammunition than this load from Fiocchi. For that matter you’d be hard pressed to beat Fiocchi’s pricing on any mainstream round as a new manufacture, virgin brass cartridge. They truly have ammunition production down to a science. The price point at which they are able to operate is exceptionally low, and the quality they produce is exceptionally high. 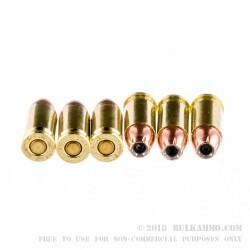 This is a .32 Auto load that features a 60 grain jacketed hollow point projectile in a brass case with Boxer primer. The 32 auto ammo offers potent stopping power in a round that is well received by most small framed semi-autos. A lot of small framed guns, specially the subcompacts that are mass produced, need to be broken-in and need a focused shooter to keep the proper stance and shooting tension to ensure feeding and extraction/ejection reliability. The vast majority of these guns work well with this ammunition, despite being finicky with many other brands. 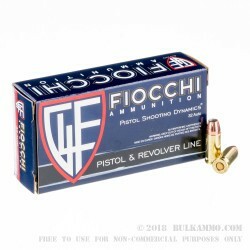 Fiocchi has been building its brand in the USA for many years now and have really arrived as one of the premium providers of low cost, factory fresh ammunition. This load represents their next step in moving forward: their own loads to compete with the innovative side of the market. They’re so far, quite well received. Order this today and you’ll get a single box with 50 rounds ready to fire delivered to you. Need more rounds? 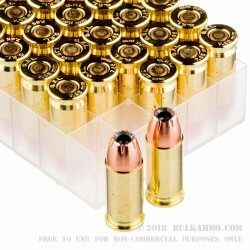 No problem, we also offer this ammo in a bulk case of 1000 rounds for sale here. Before you buy 1,000 rounds of this, buy 50-100 and try it in your weapon. I like this ammo generally, but my Beretta Tomcat misfeeds a round about every 40 rounds, very annoying. My tomcat loves Winchester silvertips, just doesn't like these Fiocchis.